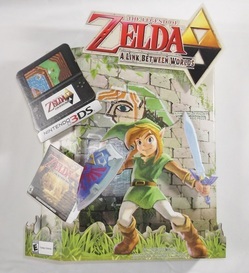 My Zelda posters and displays collection is ranges from rare and exclusive released posters to private store displays. I will also include unofficial silk screen prints and the like in this section as well. Other Info: a limited edition cel art print for The Legend of Zelda, Phantom Hourglass. 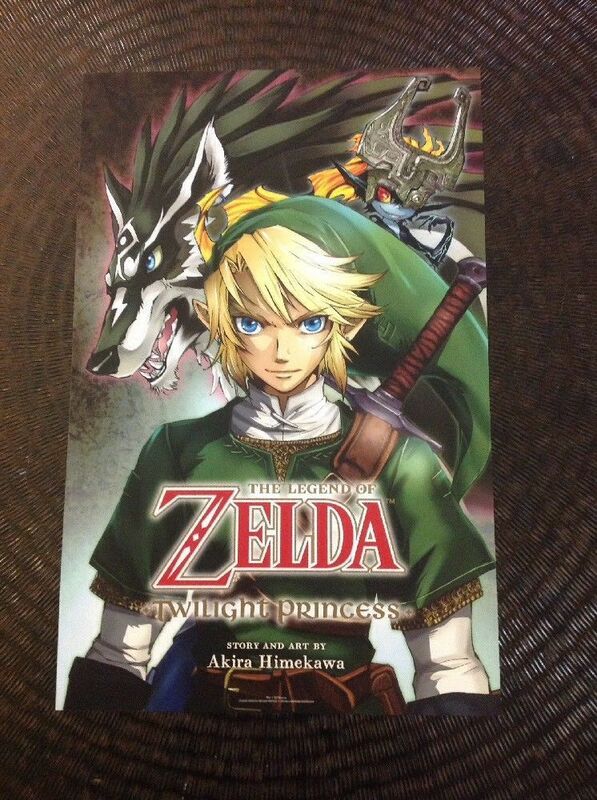 This print is extremely rare and was only available through pre-ordering the Phantom Hourglass for the Nintendo DS. This is 1 of only 50,000 prints that have been made. Never been opened, still in original plastic. Comes with a Nintendo Certificate of Authenticity and a Print #. Other Info: The Legend of Zelda a link between worlds standee featuring Link holding the master sword and the shield of Hyrule, a black Nintendo 3DS featuring gameplay and the game cover on the back as well as the front grass around the bottom and link painted on the wall behind the pop out on a stone wall it's all made out of cardboard and can be put together. Other Info: This is an exclusive New York Comic Con poster featuring the artwork of the latest editions to Akira Himekawa's Zelda Manga series. The poster is 11 inches by 17 inches large. There is a matching promo card (more like a postcard) featured in my Card Collection.